Microsoft’s largest ever customer conference in India – Future Unleashed – witnessed slew of announcements including partnerships with multiple eCommerce sites in India, various startup initiatives and launch of Microsoft Lumia 950, Lumia 950 XL and Microsoft Surface Pro 4 in India. Both companies will explore the use of Bing and cloud-based analytics to provide and enhance customer experience. It may be possible that Justdial may integrate the search technology of Bing on their site. Microsoft will integrate the Paytm app and Paytm Wallet into Cortana to enable consumers to pay for their utility bills and carry out mobile transactions easily. Paytm will use Office 365 for their merchants’ inventory and account management. Also, Paytm will facilitate and support Microsoft service sales via their merchant network. Snapdeal plans to use Microsoft cloud platforms to create a digital automotive dealership that is expected to change the way customers make automotive buying decisions. Just yesterday, Snapdeal announced launch of Snapdeal Motors, which is where Microsoft Cloud platform will be used. Snapdeal and Microsoft will use Skype, Bing and Cortana to provide new engagement platforms for Snapdeal customers. 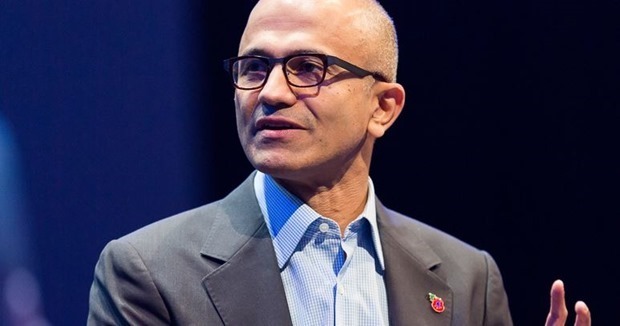 During the event, Microsoft also announced some initiatives solely aimed at Startups in India. Microsoft is providing startup in India access up to USD 120,000 (INR 80 lakhs) worth of Azure computing to help India’s smart cities explore solutions and run smart city digital pilots. You can find more details on Microsoft’s startup initiatives here. Microsoft’s fourth Generation Surface Tablet – the Surface Pro 4 – will hit the Indian markets in January 2016. This will be the first Surface tablet to be launched in India. The Surface Pro 4 comes with a new 12.3-inch 2736×1824 resolution display, Intel Skylake processor, multiple SSD options of up to 1TB, and a thinner magnesium casing. The Lumia 950 and Lumia 950 XL Windows smartphones will arrive in India next month (December 2015). Both these smartphones will be the first mobile devices to feature latest and greatest Windows 10 OS. The Lumia 950 is 5.2 inch AMOLED Display smartphone with 20-megapixel rear PureView camera having triple-LED RGB flash modules. It will be powered by hexa-core Qualcomm 1.8 GHz Snapdragon 808 coupled with 3GB RAM. The phone has 32GB storage and 3000mAh battery. The Lumia 950 XL is a 7-inch Windows 10 phablet powered by 64-bit octa-core Qualcomm Snapdragon 810 with 3GB RAM. This phone will also feature 20-megapixel rear PureView camera having triple-LED RGB flash modules. The phone has 32GB storage and 3340mAh battery. "Microsoft Partners With Snapdeal, Paytm & Justdial. Announce Lumia 950 & 950XL India Launch", 5 out of 5 based on 5 ratings.